Sabarimala is is a Hindu pilgrimage center located in the Western Ghat mountain ranges of Pathanamthitta District in Kerala state of India. It is the largest annual pilgrimage in India with an estimated 45–50 million devotees visiting every year. Sabarimala is believed to be the place where the Hindu God Ayyappan meditated after killing the powerful demoness, Mahishi. Following are the ways to reach Sabarimala. 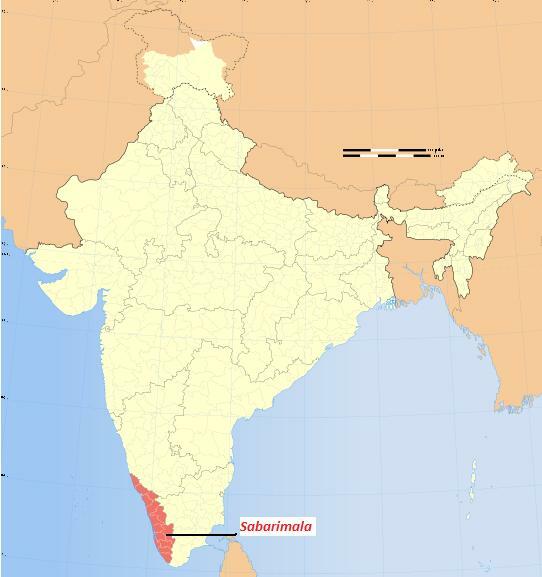 You can reach Sabarimala via following 3 travel modes. i.e, By Air, By Train or By Rail. am and Chengannur. From these stations by road to Pampa. But the nearest Railway station is Chengannur about 93 km from Pamba. Chengannur Railway station is located in the main rail route between Trivandrum and Kottayam and is connected by rail to all other railway stations in India. Chengannur is en route between Thiruvananthapuram and Kottayam and hence is connected to all other important rail heads in India. One can avail taxi services from Chengannur to Pamba. You can reach Sabarimala from Thiruvananthapuram or Nedumbassery (Cochin International Airport) by Air and from there by rail/road to Pampa. You can reach Sabarimala via Road by the KSRTC has started operatingbuses to Coimbatore, Palani and Thenkasi from Pampa for the convenience of the Sabarimala pilgrims. Besides, the Government of Tamil Nadu and Karnataka has been given the permission to operate buses to Pampa. A chain road service exists between Pampa and Nilackal base camps.Sabarimala Official Website is http://www.sabarimala.kerala.gov.in.